The Anglican Ordinariate community of St Gregory the Great will be have a special Mass for its third Feast of Title and Dedication, to be held at St Patrick’s Parish in Stoneham, Massachusetts, on September 3rd. 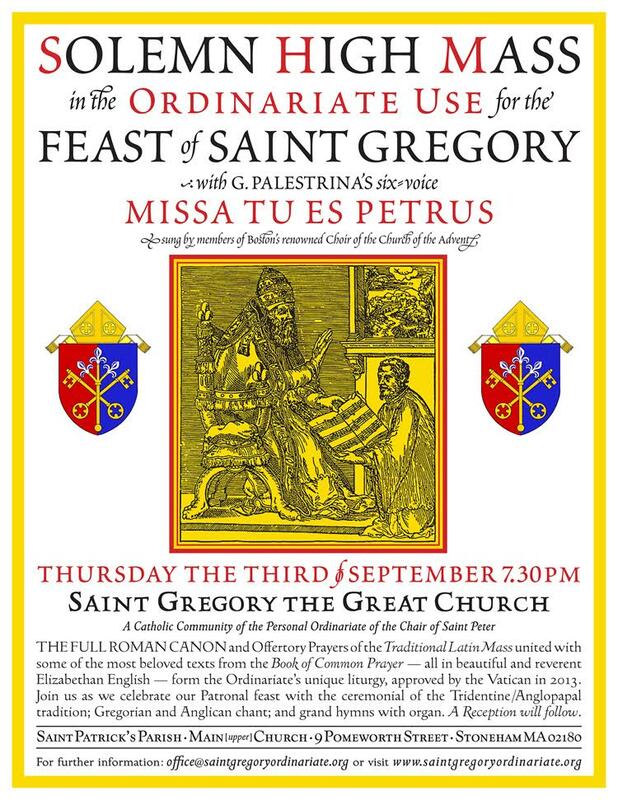 It promises to be particularly beautiful; see the poster below, or go to their website for more information, www.saintgregoryordinariate.org. 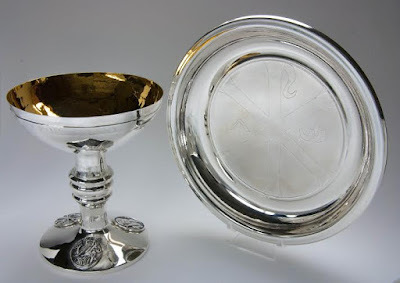 On a related note, some readers may remember that I featured the commissioning of a silver chalice and paten by the community; the original article was here. This set has just been given an award by the journal Faith and Form, in conjunction with the Interfaith Forum on Religion, Art and Architecture. The designer and maker of the set, silversmith Vincent Hawley, will be presented with the award at the May 2016 National Convention of the American Institute of Architects in Philadelphia, PA. His website is www.vwhjewelry.com. Congratulations Vincent!